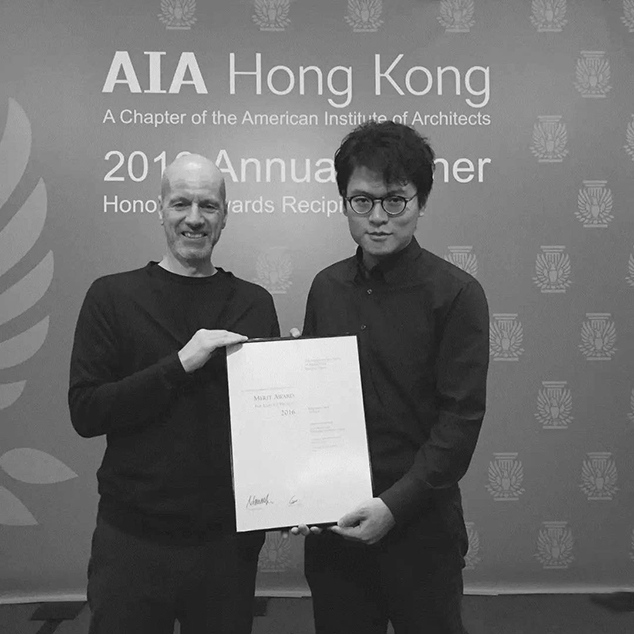 On a design level, the project draws inspiration from the nearby countryside—with its natural karst formations— as well as from the surrounding city, where vernacular dwellings cascade down steep inclines in the city’s fabric. 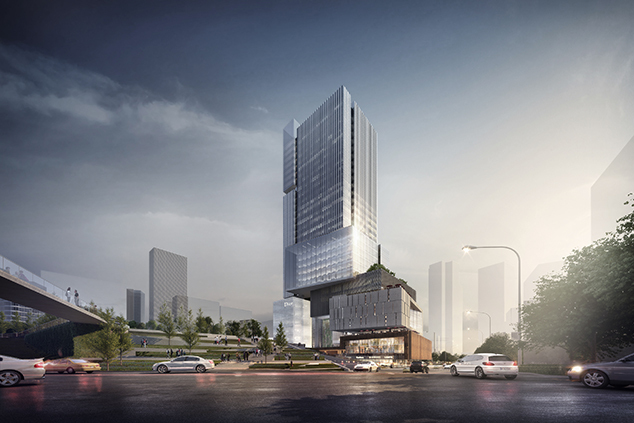 “The outcome is a design that is both contextual and iconic, contextually integrated whilst unique in appearance that allows for a visualand spatial porosity and connectivity across all levels with a naturally balanced composition of stacked box-like volumes interlocked with a tower component, creating a design of understated monumentality and a harmonious contextually responsive composition,” said the architects in a press release. 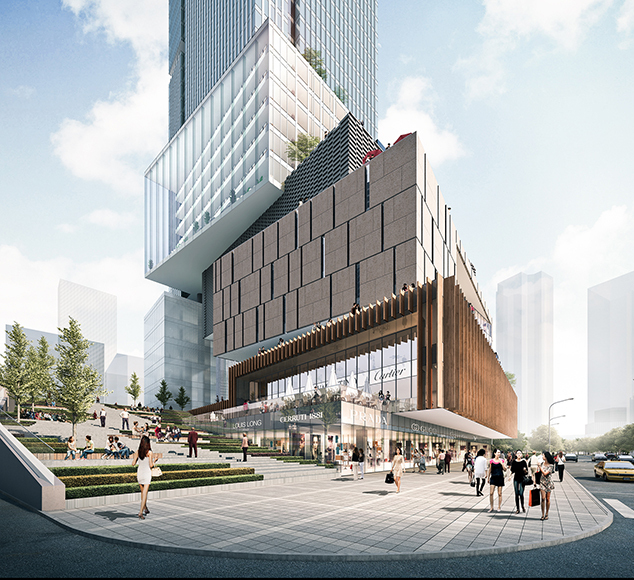 In order to connect the East and West sides, the project will feature a terraced grand stair, which will additionally create ground level entrances at multiple levels. 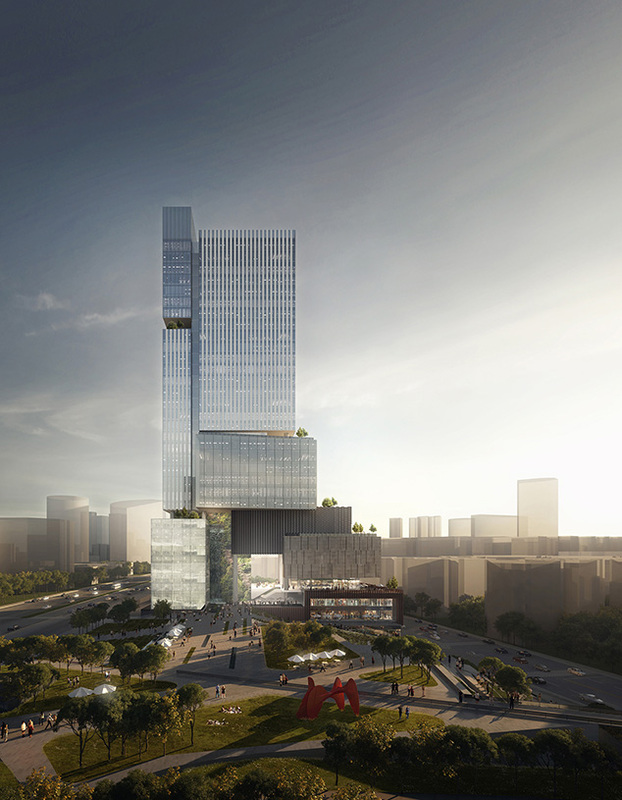 Furthermore, the building will include garden terraces and a green wall within its lobby, in an effort to connect the space with the natural environment around it. 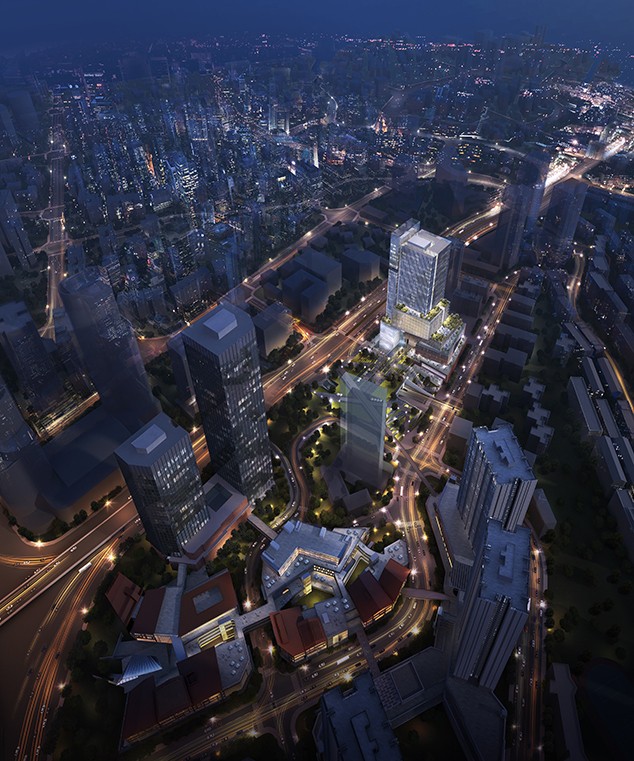 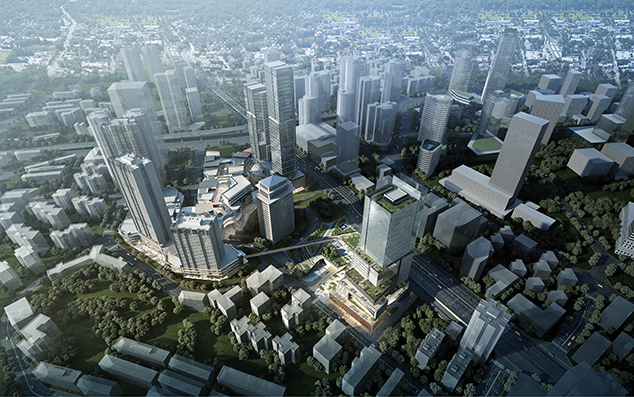 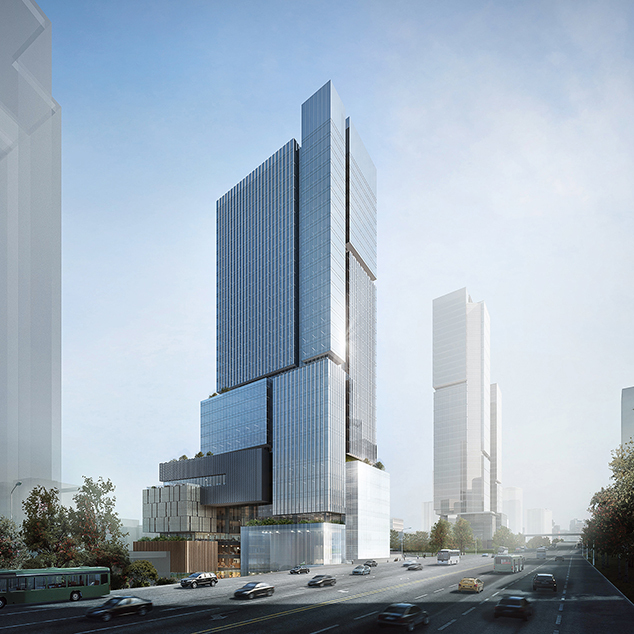 The project was recently awarded an AIA HK Merit Award for Unbuilt Project.